The accelerometer reports on changes to the acceleration of the phone along three axes. This sensor is particularly useful if your application is designed to handle motion input from a user. When the user moves the device, the accelerometer can sense the movement of the device in 3-D space along the x,y, and z axis. For example, in a racing game, the steering can be controlled by the user tilting the device from side to side. A 8051 robot “Robo-51” (could be a robot with any other micrcontroller) with serial bluetooth ZX-Bluetooth module, running a firmware for bluetooth control, and an account with App Inventor. If you are absolute beginner with App Inventor, the excellent resources and tutorials found at MIT’s App Inventor site are very good and easy to follow. 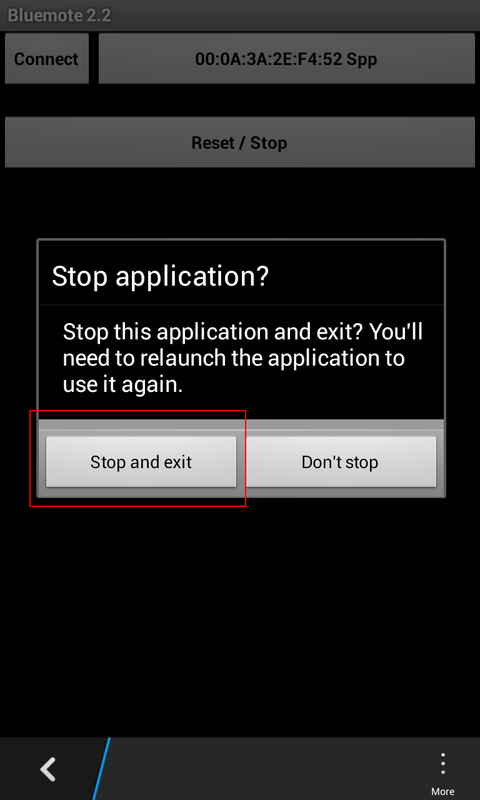 Once installed, the source code you will need to download the Android apk. 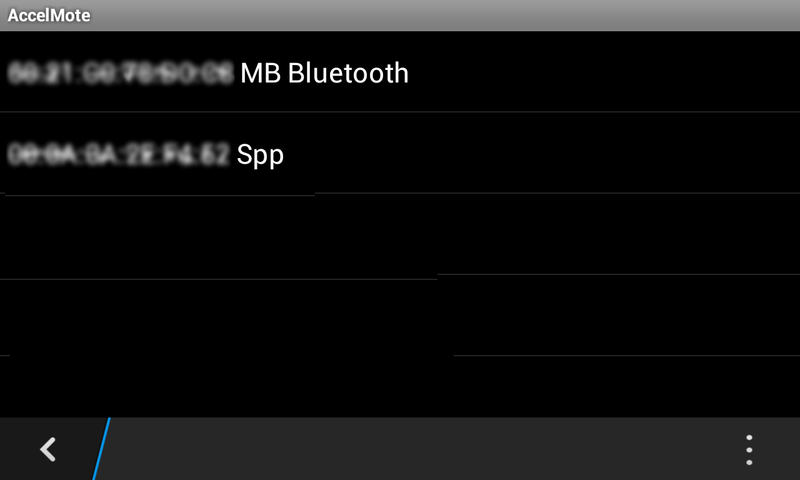 The screen and app has been optimized for Z10 . I have found Good Reader’s website to be friendly and easy to use. If you just want to use the bar app as it is, you can download clicking AccelMote_v1.0.1.bar kept at Bitbucket. 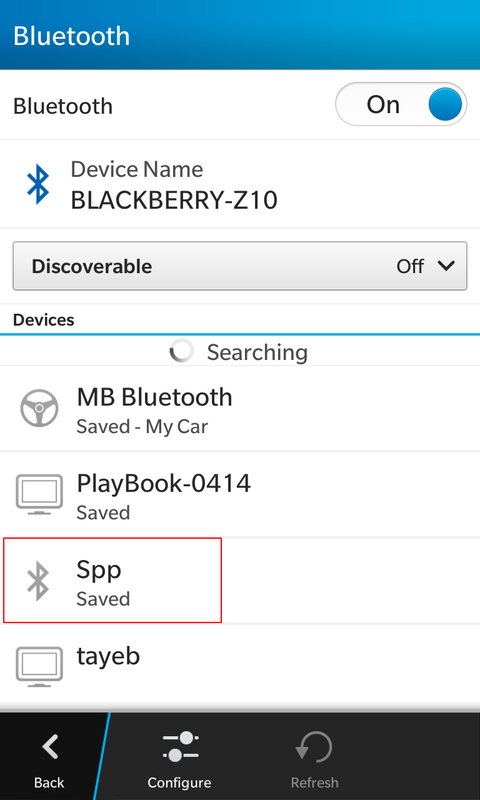 The following Good Reader’s link has a tutorial on how to install bar app into your Blackberry 10 smartphone (my app is optimized for Z10): http://apps.goodereader.com/playbook/playbook-android-apps/?did=177 It has also a video on how to install in Z10. You will need to turn Development Mode On and select an easy to remember Password to be able to install the bar app. Note MAC addresses are not shown at all as I have blurred them. You will see your MAC addresses. This project adds a new feature into existing Robo-51 projects. We have shown that the accelerometer in BlackBerry 10 can interact with external world, in this case a Robot. 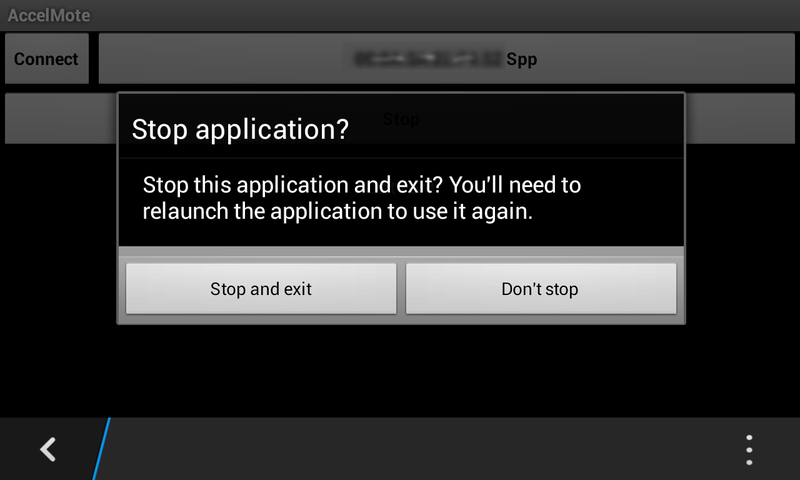 I can now tick as successful this project on acceleration sensor in BlackBerry 10. This entry was posted in Mobile Apps, Robotic Projects and tagged Accelerometer, AccelMote, App Inventor, BlackBerry, Bluetooth, Control, Robo-51, Robot, Side-loading, Zx-Bluetooth. Bookmark the permalink.